I have a girl crush. Correction a girl blogger crush. Joy the Baker is a babe. When my blog grows up I want it to be as good as Joy’s. My copy of her first cookery book needs a new cover and her recipe for Single Lady Pancakes is so batter splattered the recipe might be a tad crunchy. Joy’s blog was one of the first blogs I started to follow when I got into the world of blogging. I think that afternoon I must of read nearly every post on Joy’s joyful blog. 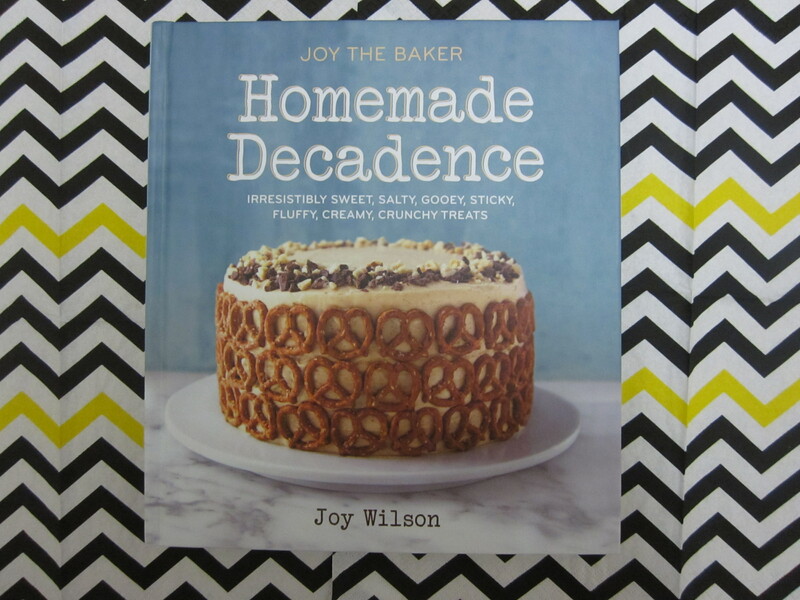 What makes Joy’s blog and recipes so great? A great sense of humour, a healthy dose of bourbon, a slab of butter, heaped dollops of peanut butter and crispy bacon. Whilst always having killer nail polish and her fluffy cat watching on. What’s not to like!! When Joy announced what felt like a million years ago that she was releasing a new book to paw over, I knew I had to preorder it to get a copy in my sweaty mitts as soon as possible. And you know what it did not disappoint at all! Me and my housemates poured over the pictures of pretzel lined pie crusts, salted dark chocolate and orange ice cream, blueberry pancake muffins with maple glaze, dirty chai lattes, peach, brie and dark chocolate s’mores…..the list of things they wanted me to cook from the book was actually identical to the index of the book. 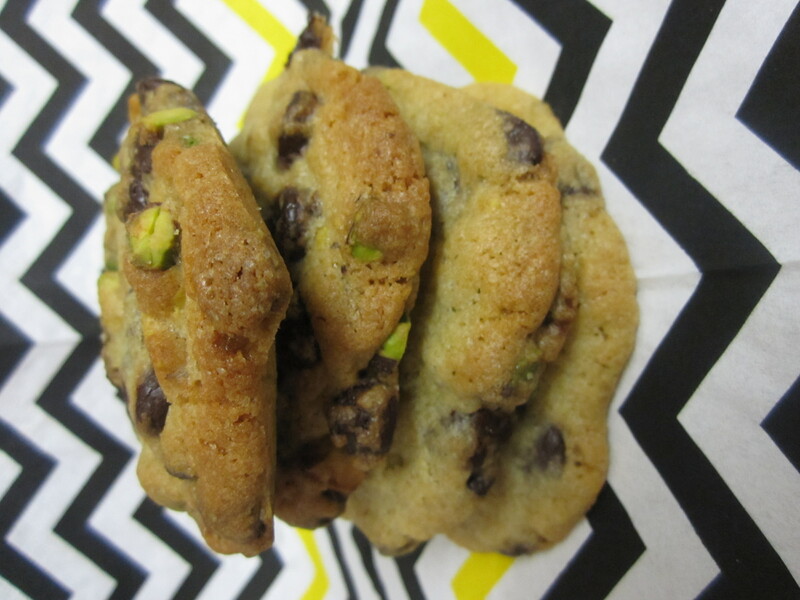 All three of use settled on trying out the Dark Chocolate, Pistachio and Smoked Sea Salt Cookies. I mean how awesome do they sound?!?! 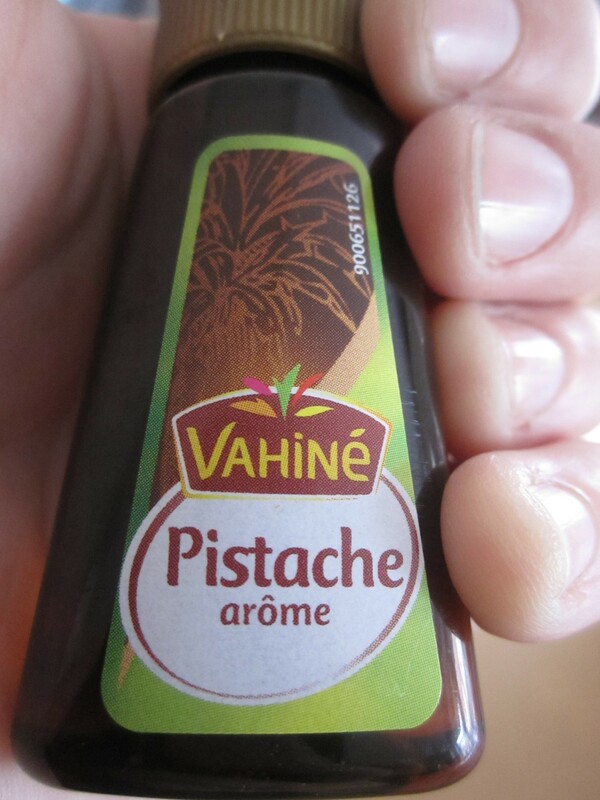 I halved the vanilla extract and added some pistachio extract my parents brought back from France as a souvenir for me to really pimp the pistachio flavour up to a Spinal Tap 11 on the dial. Grab yourself some Joy in your life and you will be eating well for a long time coming! Preheat the oven to 175C . Line 2 baking trays with parchment paper. In a stand mixer, beat the butter, the sugars until pale and fluffy, about 4 minutes. Add the egg and beat for 1 minute. Add the vanilla and pistachio extracts, until mixed in. 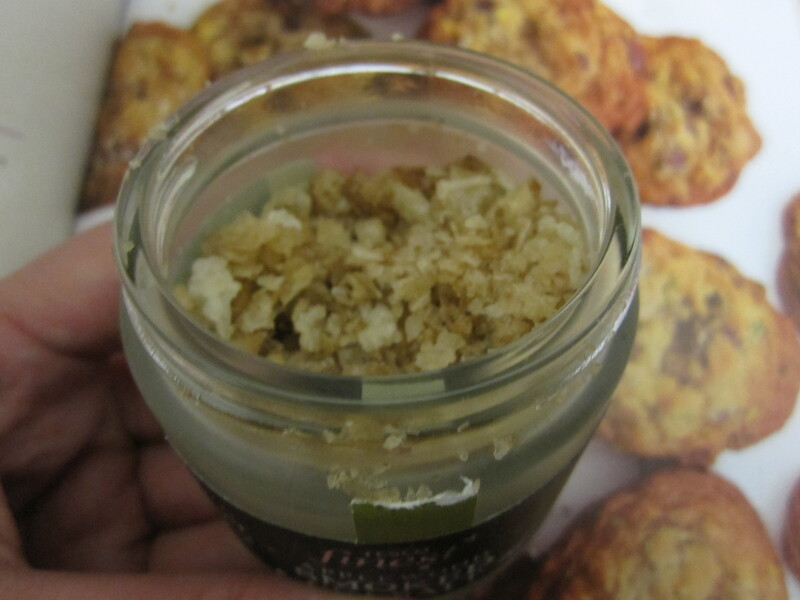 Add the flour, baking soda and salt to the butter mixture and beat on a low speed until well mixed. 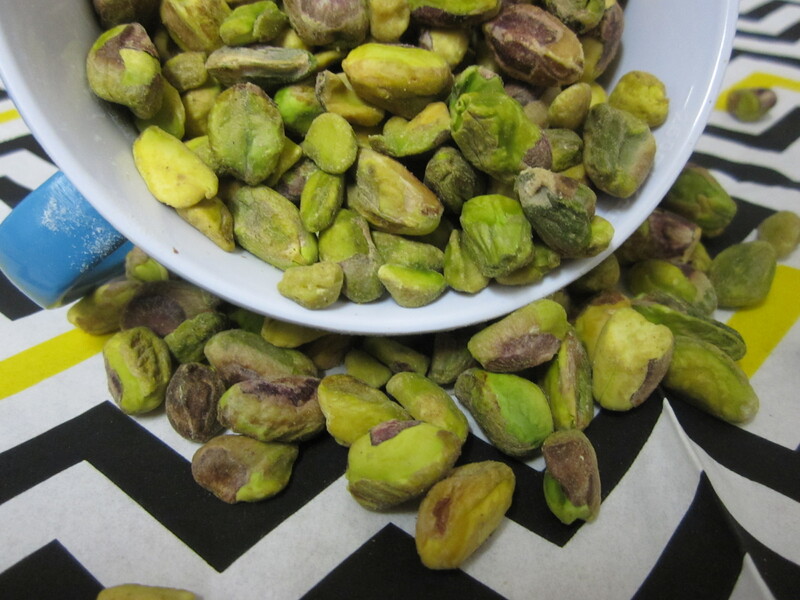 Beat in the chocolate chips and pistachios. Scoop the dough, about 2 tbsps of the mixture ( I used half the amount as they were pretty chunky bad boys!) 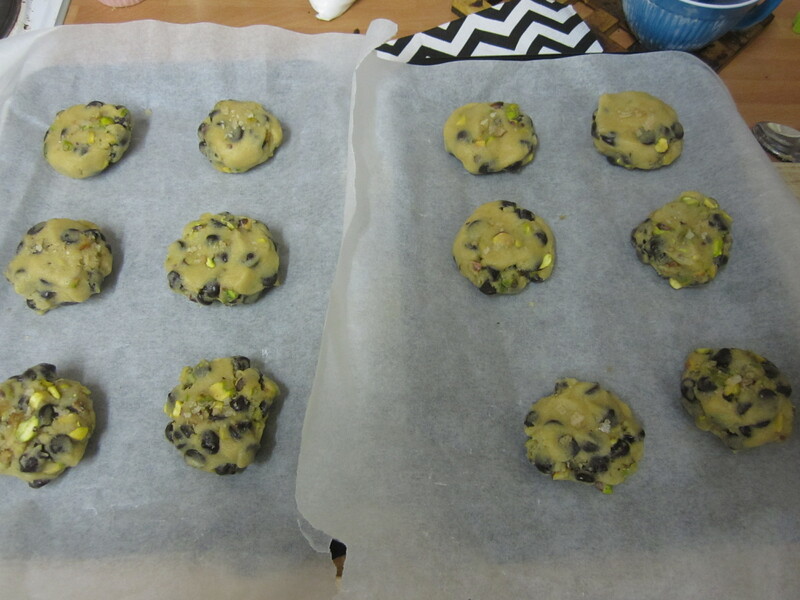 About 6 cookies to a tray and leave plenty of space between them to spread. Sprinkle with smoked sea salt. Bake until golden brown, around 10-12 minutes. Let them cool for 5 mins before removing from the tray. Can’t say they will hang around too long!